It’s the spring and the perfect time to spring clean your skincare routine! Often, we think about spring cleaning our homes and closets, but overlook the things we put on our body everyday. It’s the perfect time of year to clean brushes, throw out old products and replace them with cleaner, healthier options. 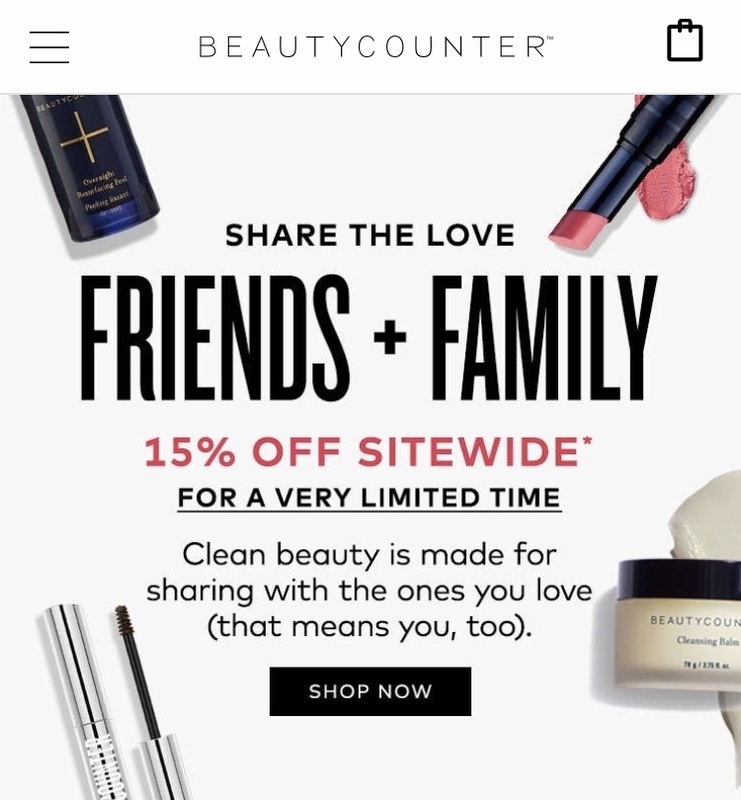 If you’re on my email list, then you know Beautycounter has an awesome sale going on right now. 15% off sitewide through April 15th and they only do this once or twice a year. Last week I shared my love for Beautycounter and chemical free products. Everything you put on your skin is just as important as what you put in your mouth. With my Hashimoto’s disease and other past hormone problems, getting chemicals out of my skincare and makeup is really important to me. I use the ThinkDirty and EWG apps to see what chemicals are in the products I use. I know it’s overwhelming figuring out where to start when you’re cleaning up your skincare and makeup. My advice is start with swapping 2 or 3 items then build up from there. You don’t need to go all in and switch everything at one time. I’m sharing my Beautycounter FAVS with you below so you can see the things I’m loving! I am OBSESSED with the overnight resurfacing peel. It has reduced the pores on my cheeks and improved my tone in just a few weeks. If you invest in anything, I highly recommend this! Last year my dermatologist put me on a retinol and my skin was a nightmare. Always red, peeling, flaky and itchy. I started using the resurfacing peel and am so impressed. Read the reviews. They speak volumes of how amazing this product is! Finding the right moisturizers has always been a struggle for me. Either they’re too oily + sweat off during my workouts or they irritate my skin. FINALLY I’ve found my match with countermatch regimen! I so love this line of moisturizers and if you’re on the fence about where to start, start here! Living in Phoenix, sunscreen is a must and after using the ThinkDirty and EWG apps, I was appalled to learn the brands I was using were the dirtiest you can put on your body. Did you know Neutrogena has the most chemicals? Yuck. 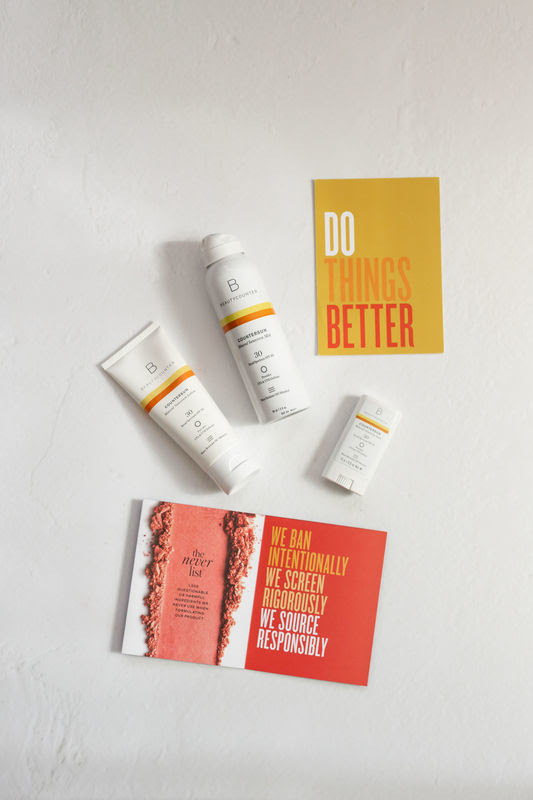 Beautycounter’s sunscreen is chemical free so you can feel good about putting it on your body and your little ones too! I’ve getting a lot of questions about foundation and SPF moisturizers. I don’t wear foundation often, but I do prefer the dew skin over the tint skin. It’s lighter and I like that it has SPF. Dew Skin is the tinted moisturizer with SPF 20. It offers some light coverage. It’s great for evening out skin tone! For some people that don’t wear foundation, this is the perfect amount of coverage! Tint Skin is a light weight, creamy foundation that offers medium coverage. 61% of lipsticks contain lead and studies show there is no safe amount of lead exposure to humans. Even small doses of exposure are toxic and lead to toxicity, hormonal problems and fertility issues. Beautycounter’s lipstick is lead free, stays on your lips for hours and moisturizes them. I’m truly blown away by how amazing their lipstick is. I always have lipstick on my lips to brighten up my pale face and I’m so happy I discovered Beautycounter because their lipstick I will never stop using. I use the 9to5 and backstage shades and love them! Beautycounter has an amazing return policy. You have 60 days to return a product if you don’t love it for a full refund. No questions asked! 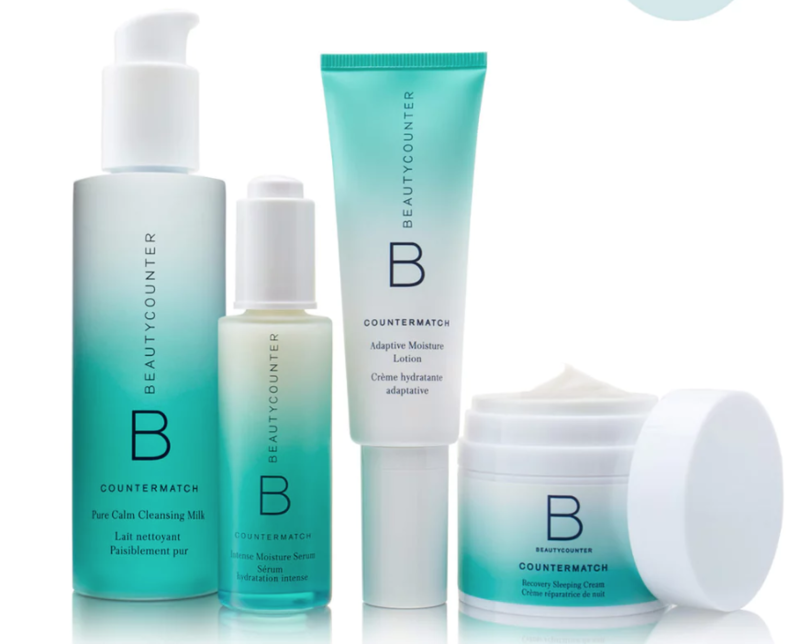 Beautycounter rarely offers sales with a discounted price. Once or twice a year if you’re lucky. If you’ve been wanting to try Beautycounter, this is the perfect time to do it. If you’re already a customer, stock up and save money. 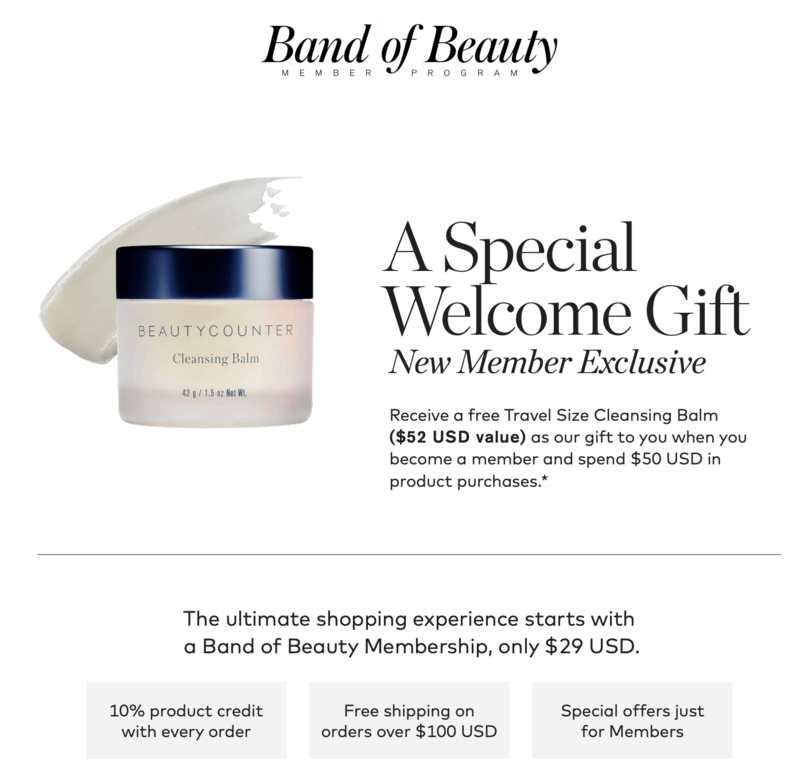 One thing I recommend to save money on future Beautycounter orders is signing up for Band of Beauty, the VIP customer loyalty program. It’s $29 to enroll. The membership lasts one year. You earn product credits with every order (10% back) to spend on future purchases. 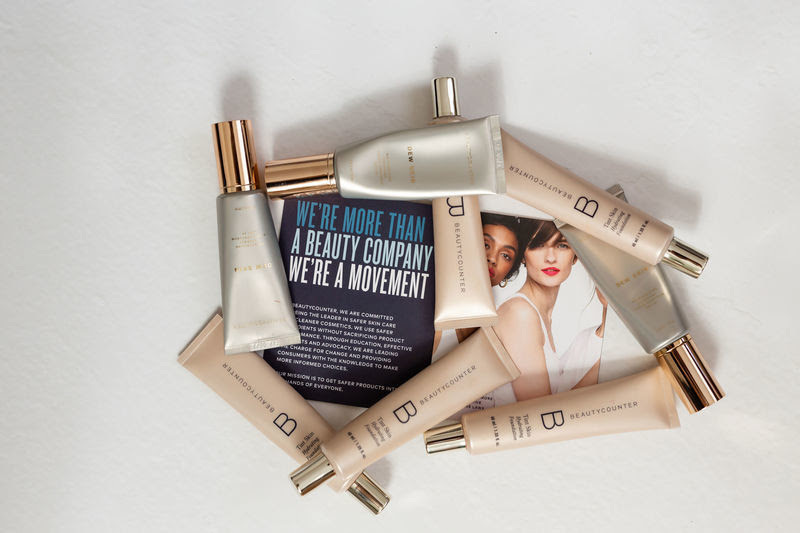 This adds up quickly – I see customers redeem $20-$40 in Beautycounter credits all the time! You get free shipping on orders over $100. If you place an order over $50 when you enroll for Band of Beauty, you get a free full-sized gift. Basically, the free gift covers the cost of membership.